The Gotham Independent Film Audience Award, voted by IFP members, went to Boyhood, Richard Linklater’s epic yet intimate film that recounts the story of a boy’s coming of age from age six to eighteen, filmed over the course of twelve years. Linklater was the recipient of last year’s Gotham Director Tribute. Winning the award for Best Actor was Michael Keaton for his virtuoso turn as the central character of Riggan Thomas in Birdman or (The Unexpected Virtue of Ignorance). Julianne Moore was voted Best Actress for her emotionally detailed and powerful performance in Still Alice, in which she plays a renowned linguistics professor who receives a diagnosis of Early-Onset Alzheimer’s Disease. Moore received a Gotham Actor Tribute in 2002. In awards for emerging talent, Ana Lily Amirpour won the Bingham Ray Breakthrough Director award for A Girl Walks Home Alone at Night, her visually stunning Iranian vampire tale (shot in Bakersfield, CA) that mixes gender politics, romance, cinematic influences from Leone to Lynch, and New Wave and Arab rock in a distinctive debut. Tessa Thompson received the Breakthrough Actor award for Dear White People, in which she portrays the film’s central character, Sam White, outspoken college radio deejay who conceals her own complicated personal life. Also presented by IFP for the fourth year at the ceremony was the euphoria Calvin Klein Spotlight on Women Filmmakers ‘Live the Dream’ grant, a $25,000 cash award for an alumna of IFP’s Independent Filmmaker Labs. This grant aims to further the careers of emerging women directors by supporting the completion, distribution and audience engagement strategies of their first feature film. The winner of the 2014 grant was Chloé Zhao, director of the upcoming Songs My Brothers Taught Me. As previously announced, in addition to the competitive awards presented, a Special Jury Award was presented jointly to the three leading actors in Foxcatcher - Steve Carell, Mark Ruffalo, and Channing Tatum - for their ensemble work in the film, and career tributes were given during the ceremony to actor Tilda Swinton (presented by Amy Schumer), director Bennett Miller (presented by Catherine Keener) and Industry Tribute recipient Netflix’s Ted Sarandos (presented by Will Arnett). The ceremony was streamed live to a global audience at www.ifp.org. The Gotham Award winners were chosen from a total of 24 films that received nominations in seven competitive categories. 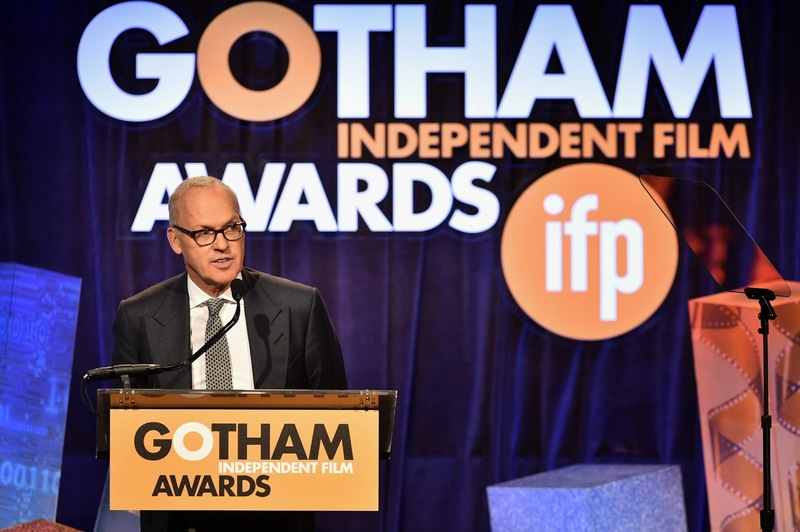 The Gotham Independent Film Awards by IFP, selected by distinguished juries and presented in New York City, the home of independent film, are the first honors of the film awards season. This public showcase honors the filmmaking community, expands the audience for independent films, and supports the work that IFP does behind the scenes throughout the year to bring such films to fruition.